Cryptocurrency madness does not seem to go away. Hence, while everyone is into mining, buying or selling digital currency, new tools emerge to make these processes more efficient. Today we are going to look through the best cryptocurrency price tracker extensions for Chrome and Firefox users that will have to find the best prices and deals with a few clicks. The main advantage of all tools – they are absolutely for free. While some of them provide real-time price updates, others offer montoring thousands of different cryptocurrencies. Presenting best cryptocurrency price tracker extensions for Chrome and Firefox. Google Chrome is a market leader among all web browsers out there. There is no need to explain why there are so many add-ons for Chrome. Of course, variety is great because you can try and choose the most convenient and useful tool. However, it definitely takes time to find the one. 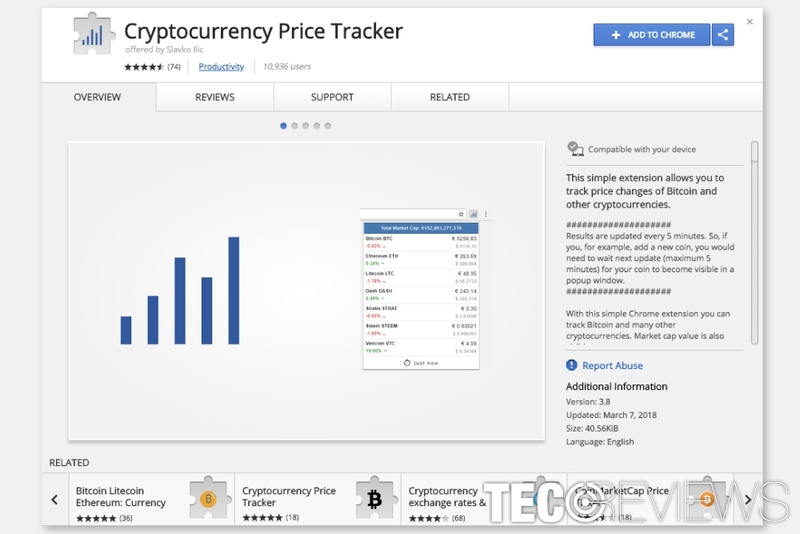 We checked a bunch of different cryptocurrency price trackers for Chrome, and now we want to share three best browser extensions you should try too. The official website of CryptoVision extension. 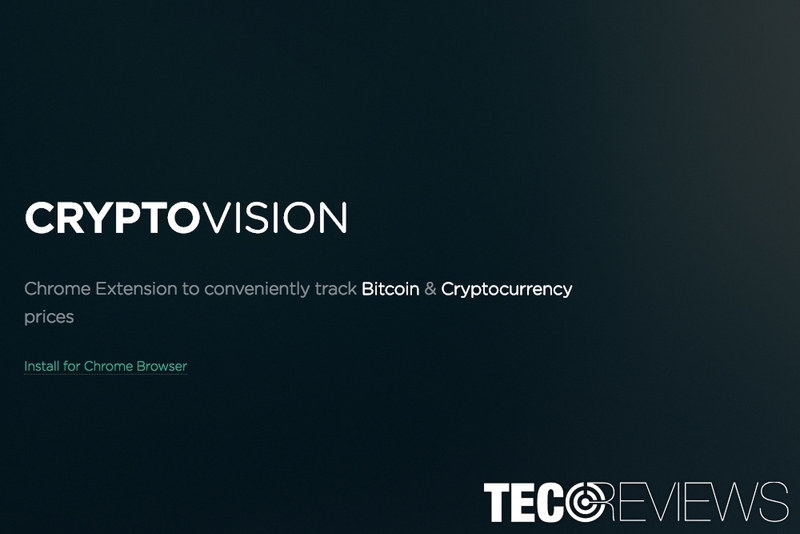 CryptoVision Chrome extension allows tracking portfolio of Bitcoin and other digital currency prices on the browser. The add-on lets adding countless coins to the watchlist and curating them conveniently. This cryptocurrency price tracker takes pricing information from Coinmarketcap and shows directly in the browser’s tab. The application is easy to use. It supports drag and drop feature that allows arranging cryptocurrencies. 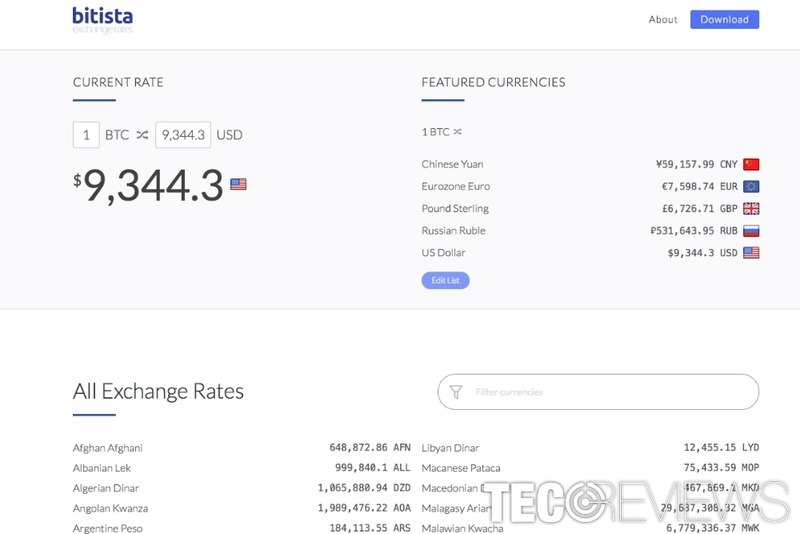 Bitista is a tool that might be very useful for those who trade Bitcoins in various currencies. It shows the price of Bitcoin in 157 different currencies. The price information is also available on their website if you do not want to install this extension. However, Bitista extension is not only compatible with Google Chrome, but it can be installed on Mozilla Firefox as well. Additionally, iOS and Windows versions are coming soon too. This cryptocurrency tracker extension is very simple and easy to use. Despite the fact it provides more than a hundred and a half of cryptocurrency prices, it allows editing your personal list and arranging prices you need the most. Cryptocurrency Price Tracker is available in Chrome Store. Cryptocurrency Price Tracker is another great Chrome extension which provides the price and market cap of the digital coins. The application updates prices in every 5 minutes, which is definitely a great feature. seeing when new updates on prices are coming. Cryptocurrency Price Tracker takes prices for Coinmarketcap too. Firefox is the biggest competitor for Chrome. Though, it’s still a popular browser that can be improved with a bunch of extensions and add-ons. If you have skipped the first paragraph about extensions for Chrome, you should scroll up and read about Bitista – the great cryptocurrency price tracker which is compatible with both Chrome and Firefox browsers. However, we have two more tools to present to you. 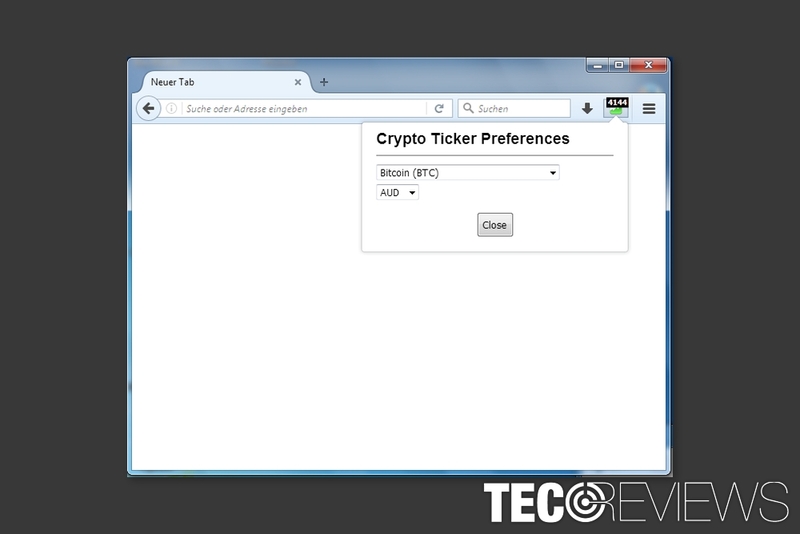 Crypto Ticker allows seeing cryptocurrency price on the toolbar. This Mozilla cryptocurrency tracker can give the price of more than 1,000 cryptos and 30 fiat currencies which are taken from Coinmarket website. One of the greatest features of the Crypto Ticker is this browser toolbar updates prices in every 1 minute. Therefore, you can access the latest information. This cryptocurrency price tracker for Firefox shows a live update of one cryptocurrency at a time. This feature might seem like a downside for some users. However, the price is visible from the extension’s icon in the browser’s toolbar. Hence, you do not need to open to see the current price of Bitcoins or other coins. All in all, it seems that Crypto Ticker is the best choice for those who have invested in only one digital currency. Cryptocurrency Price Tracker for Firefox. 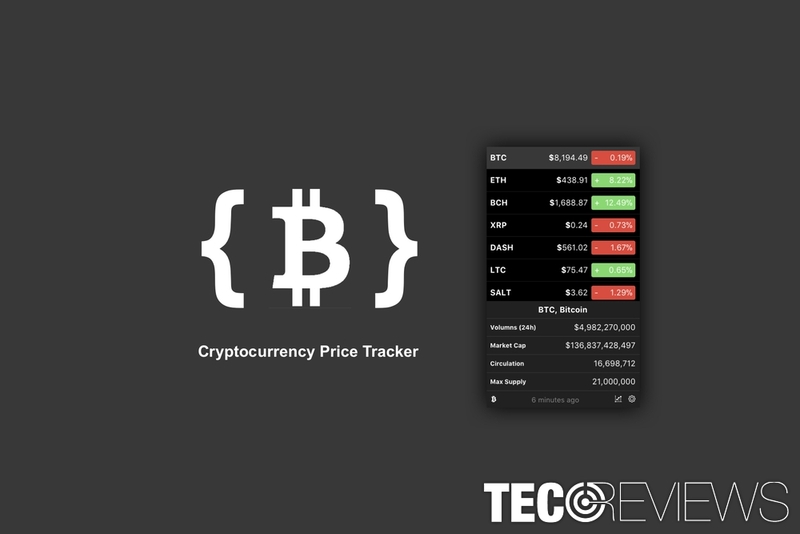 Cryptocurrency Price Tracker by Louis Baker provides prices of Bitcoin, Ethereum, and other cryptocurrencies. The best feature of the add-on is that it provides prices in real-time. Another advantage is that this Firefox cryptocurrency price tracker also provides additional information, for instance, Market Cap, circulation, Max Supply and more. The downside of the add-on might be that it only has a limited amount of cryptocurrencies you can monitor. However, if you do not need following a dozen of coins, you won’t see problems. The extension also has a beautiful dark theme user interface which actually resembles the interface of MacOS. To sum up our short review and recommendations, we would like to add that these cryptocurrency price trackers are free. Therefore, you just can install them in Chrome or Firefox and try them yourself. We all have different preferences for functionality, design or user experience. Hence, these browser extensions are definitely worth giving a try. ^ Joseph Argiro. Why Is Cryptocurrency So Popular? Three Entranceu00a0Avenues. ICO Alert Blog. Trusted ICO Discovery Platform. ^ Google chrome remains the most popular browser in the world. The Nation. News website. ^ Understanding CoinMarketCap.com: A Site With Every Cryptou2019s Price on It and Where to Trade Them. Cryptocurrency facts. Websiteu00a0takes a simplified look at digital currencies like Bitcoin to help explain what cryptocurrency is, how it works, and its implications. 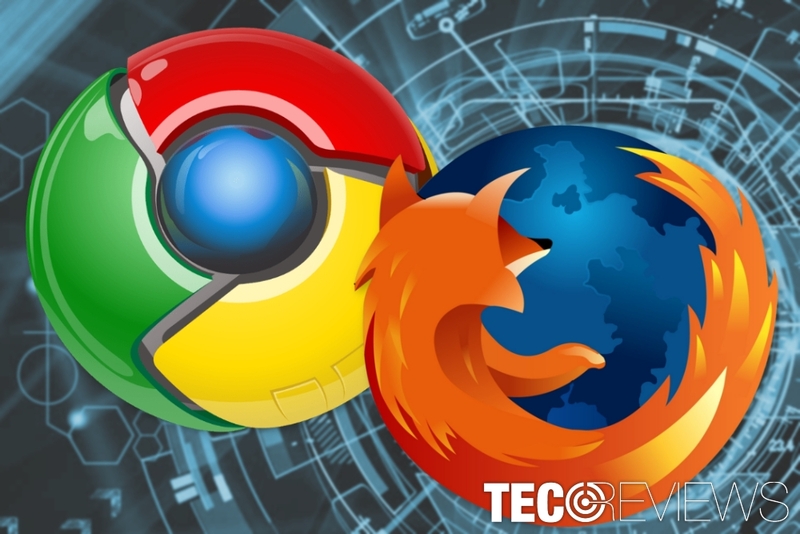 ^ Firefox Quantum Vs Chrome u2013 Whou2019s The New Boss?. Fossbytes. Technology news with a focus on Linux distro releases, security & hacking news, tutorials, tips and tricks, VPNs & more. ^ Nick O'Connor. Is bitcoin a fiat currency?. Capital & Conflict. The website about investment.